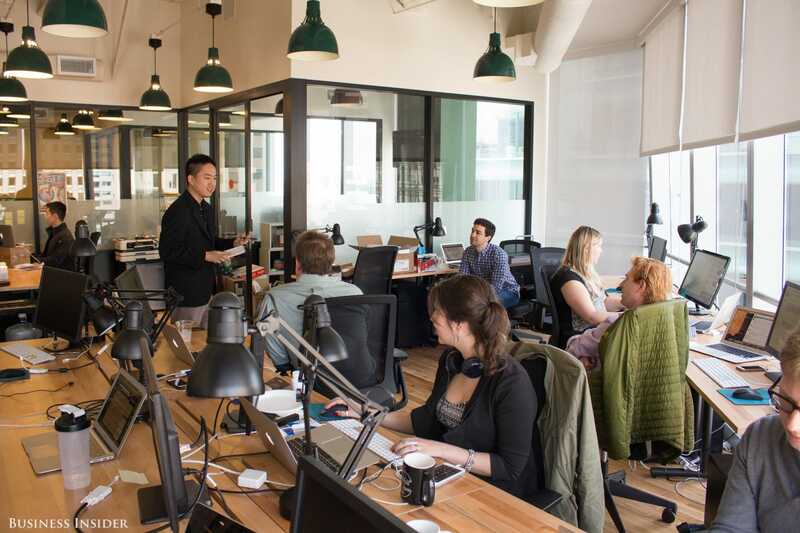 Business Insider is looking for a late-shift news intern for its San Francisco office. This intern will help the San Francisco editorial team with research and social media promotion, and will have ample opportunities to write both tech and general news stories. We need someone who is enthusiastic about social media, curious about tech companies and products, and broadly interested in general business and world news. We’re looking for the following. Someone who is psyched to work with text, photos, video, graphics, and audio — often all in the same story. A basic knowledge of the tech industry and business. Someone with good time-management skills who thrives in the fast-paced environment of a newsroom. As an intern at Business Insider, there’s no getting coffee, filing, or making copies. Our interns are an integral part of our team. Many of our current writers and editors started as interns. BI interns spend their time doing meaningful work: researching, writing, producing, and promoting features and stories — even breaking news if the timing’s right. Interns are encouraged to work full-time (40 hours a week) if their schedule allows. This is a late-shift position and the hours would include evenings. This internship is paid hourly. APPLY HERE with a résumé and cover letter if this sounds like your dream internship, and specify why you’re interested in working at BI.